1 In food processor or blender, process cottage cheese until smooth. 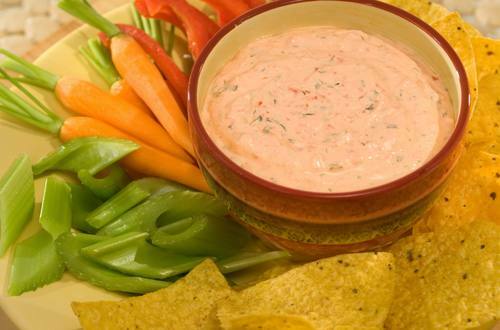 Add Hellmann's® or Best Foods® Real Mayonnaise, peppers and garlic; process until smooth. Stir in remaining ingredients except chicharrones. Chill, if desired. Serve with chicharrones or your favorite dippers.